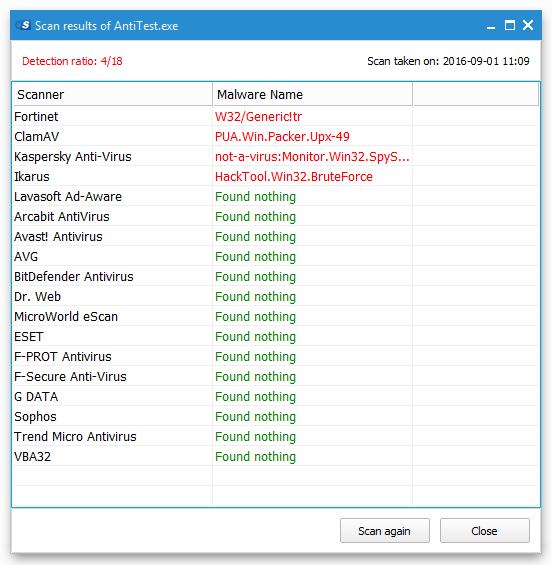 On demand antivirus scanner received the possibility to check the analyzed file SHA256 and MD5 hash. SpyShelter now also displays the results of Jotti on demad virus scan in a new program window instead of opening an external browser application. This allowed to remove one unneccessary file and shrink SpyShelter by 0,5MB. If the file was scanned before, you will be presented with known results and the possibility to scan this file again by pressing Scan again button. By pressing this button, SpyShelter will upload the file to Jotti virus scanning service and display updated results.